Fox Hollow neighbourhood is between Sunningdale Road and Medway Road (North), Medway between Denfield Road and Hyde Park Road (East), Fanshawe Park Road West (South) and Wonderland Road (West). 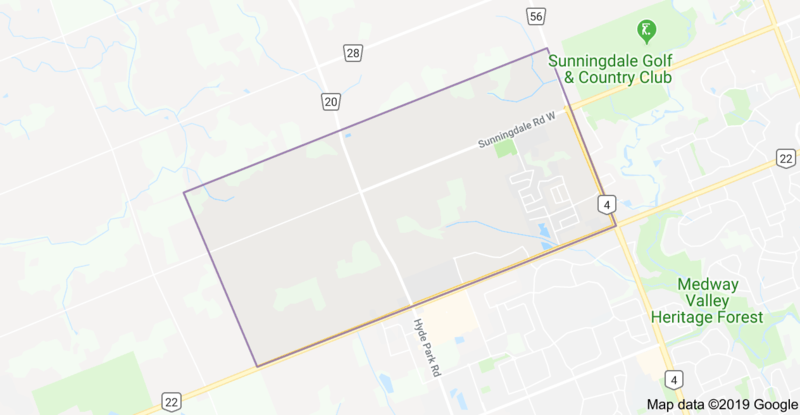 Fox Hollow is a newer neighbourhood in the northwest part of London with the access off of Sunningdale & Fanshawe Park Road W. Loads of stores to shop going west to Hyde Park or east to Masonville Mall. From January 1 to April 15, 31 houses were sold through our MLS system in Fox Hollow, from $392,500 to $890,000, the median days to sell were 38 for an average 98.69% of the asking price. 12 Fox Hollow townhouses were sold between $380,000 - $530,000, almost for the asking price and taking 13 days to sell! 120 houses were sold in the Fox Hollow neighbourhood in 2018 from as low as $351,000 up to $982,000, averaging 21 days to sell for a median 99.7% of the asking price. 11 townhouse condominiums in Foxfield sold as well, from $370,000 to $462,000, taking 25 days to change hands and selling for 99.36% of the asking price.